During the holidays our CBI Greenville team enjoyed providing their time and service to Project Host. 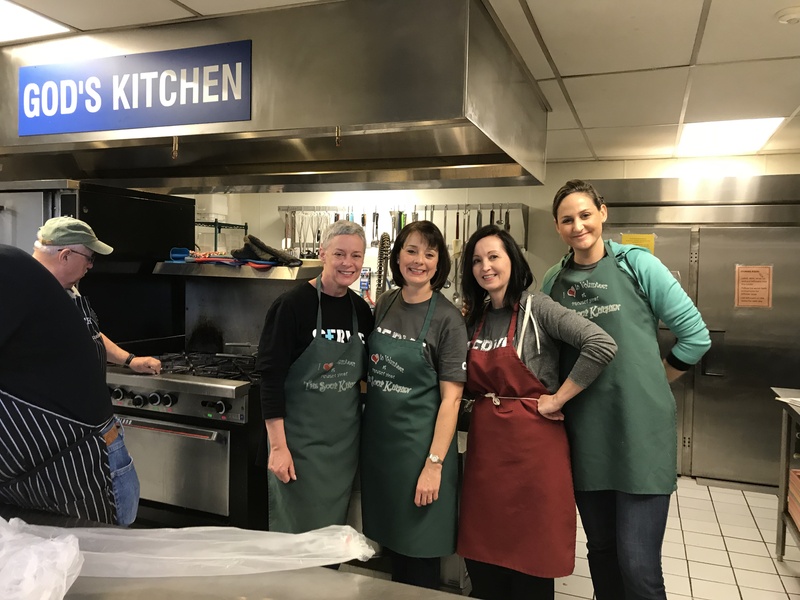 Project Host is a local soup kitchen which offers a balanced, nutritious meal each day in a safe, clean and caring environment to all who are hungry. No questions asked. For some, it is the only meal they will receive on any given day; for others, the meals help alleviate difficult decisions, such as whether to pay the energy bill or buy groceries. 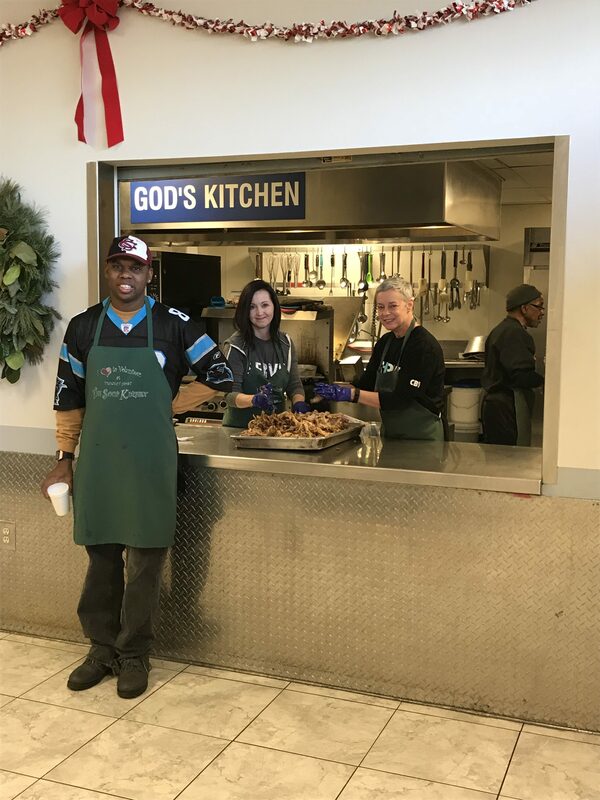 The Greenville team of Ali, Kim, Marie, and Laura were part of a larger volunteer team of (12) who were responsible for preparing and serving the food for 130 guests, as well as cleaning up the facility when the meal was over. Master Chef Ken created a fabulous five-course meal based mainly on food that is gifted to Project Host through community partners such as grocery stores. Lunch consisted of baked chicken thighs and wings, a savory sausage and rice jambalaya, hearty chicken and rice soup, green beans with bacon bits, bread, and dessert. Jarrell, who works at Project Host, became our mentor, showed us the ropes and was our go-to when we needed to know where something was kept in the kitchen. He also guided us on a tour of the community garden in the back of the facility. The community garden is part of the CC Pearce Culinary School which is part of Project Host and furthers the mission of “using food as a tool to nourish the hungry and train the unemployed”. We all agreed that serving with Project Host was a very fulfilling experience and one we look forward to being a part of again. To learn more about Project Host click here.